[News] Higashiyama Research Director will give a presentation as a plenary speaker at International Botanical Congress in Australia. Higashiyama Research Director will give a presentation as a plenary speaker at International Botanical Congress in Australia on July 23-30, 2011. [News] New green house was completed! 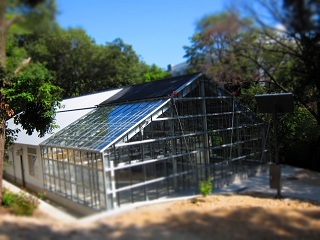 Today, our new green house was completed! This house is so big more than 260m2.